Australasian Piling Company (APC) was established in 1953 and carries out pile driving, bored piles and drilling projects in every state via offices in Adelaide, Sydney and Perth. APC can install pre-cast concrete, steel or timber piles with NO NOISE, NO VIBRATION and NO CONTAMINATION up to 6000 kN – with each pile static load tested to its ultimate load during installation – using our unique “G” Pile System. We confirm that we have been involved in the geotechnical engineering aspects of the G-Pile method since its introduction into Australia in early 1998. We have applied the method in a variety of geological conditions ranging from soft and stiff clays, loose and dense sands and gravels, to weathered rock in NSW, Victoria, Queensland, South Australia and Western Australia. 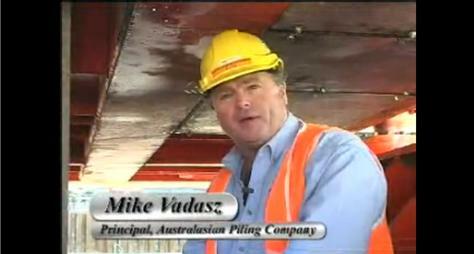 Australasian Piling Company has made it to YouTUBE! !